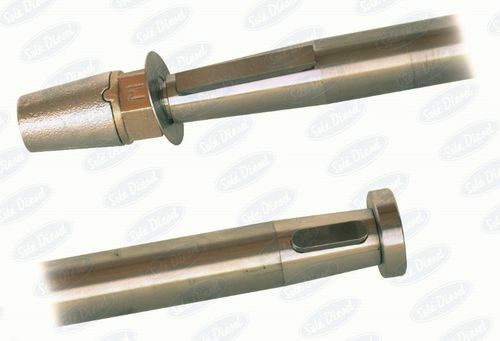 Ground standard or AISI-329 stainless steel shafts machined on both ends, with key, nut and safety washer. Taper 1:10 according to norm ISO-4566 and available in diameters from 35 up to 60 mm. AISI 329 stainless steel is capable of withstanding greater stresses allowing smaller-diameter shaft thanks to its mechanical properties. This can be translated into a major saving for shipbuilders when they want to install powerful engines maintaining the original Sterntube and propeller strut.